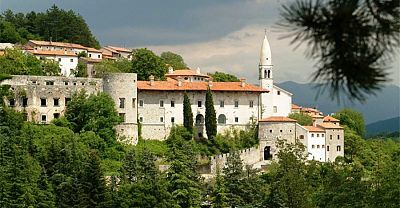 This region is Slovenia’s answer to Tuscany and offers a wealth of attractions with easy access to both coast and mountains. 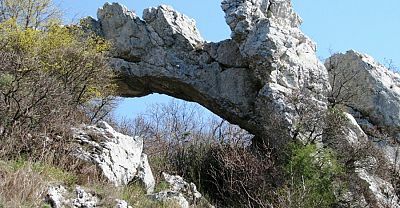 The Karst is a geographical term to describe the rocky limestone plateau that occupies the area of Slovenia just inland from the Adriatic between Nova Gorica and Trieste. 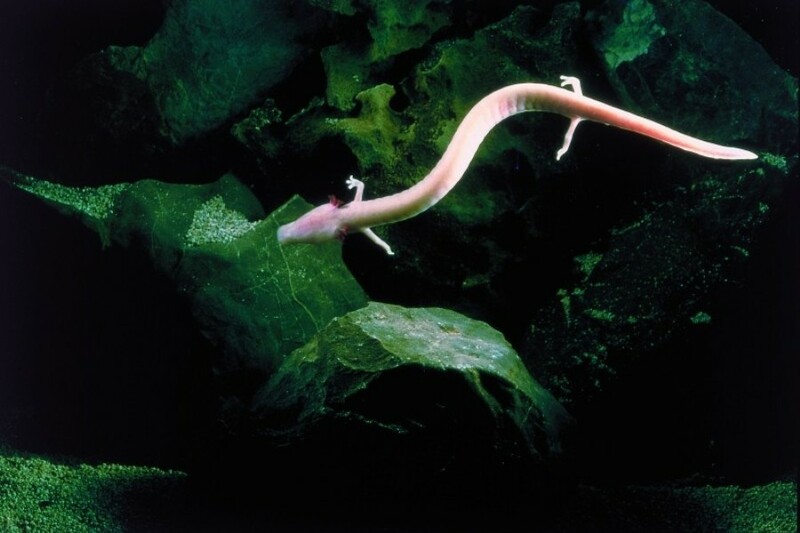 It is an area of outstanding natural beauty with world class cave complexes at Postojna and Škocjan, not to mention one of the world’s deepest underground canyons also at Škocjan. 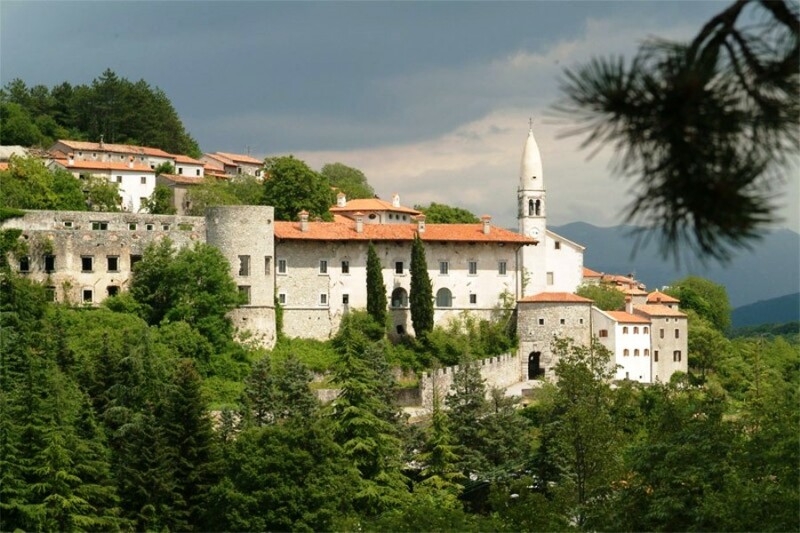 Culturally it is also a fascinating place with a number of stunning stone built hilltop villages, notably Štanjel and excellent cuisine, of which Karst ham and Karst Teran red wine are the best known examples. 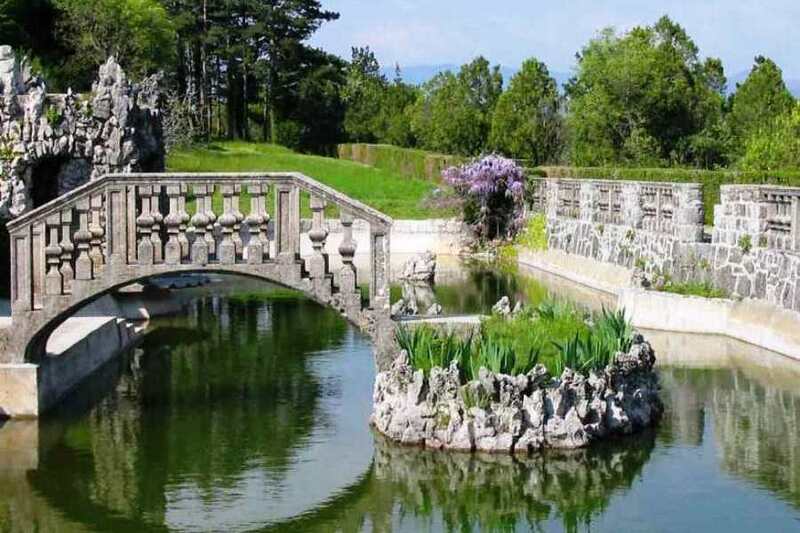 One of the main attractions of the area is the stud at Lipica, home to the famous Lippizaner horses, a must see particularly for horse lovers. 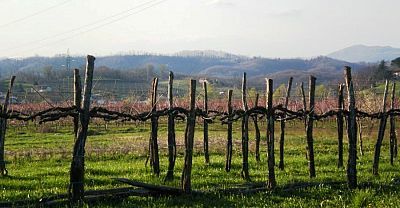 On the north eastern edge of the Karst is the Vipava Valley, a beautiful area of vineyards surrounded by rugged hills. 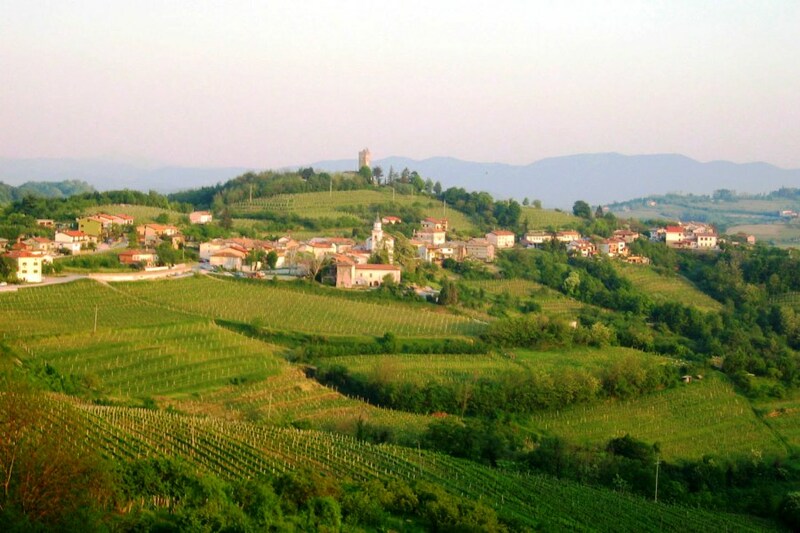 On the other side of the biggest town in the area Nova Gorica is the stunning Goriška Brda wine growing area – outstandingly picturesque rolling verdant hills topped with historic villages and with vineyards in every direction producing some of Slovenia’s best red and white wines. 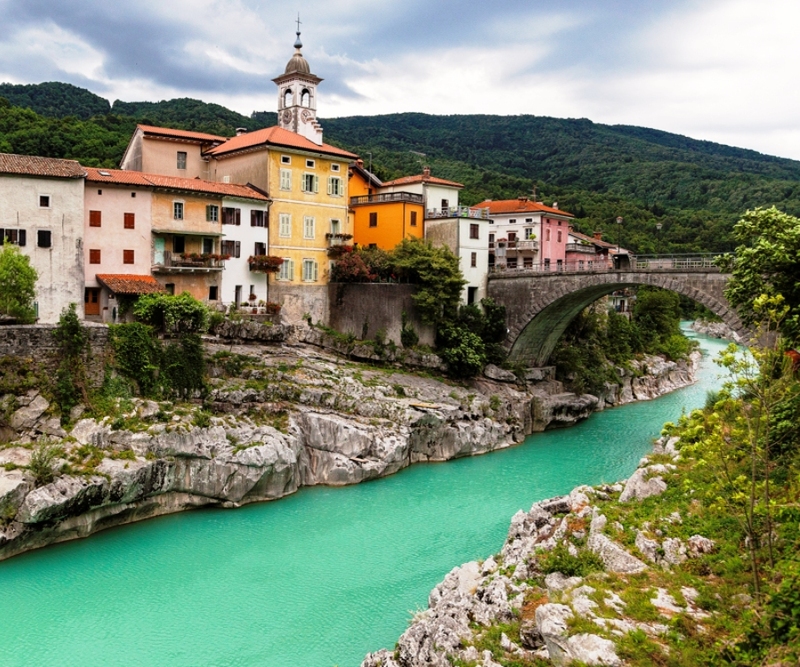 The town of Kanal a little further north, located on the Soča River, is a pretty Italianate place which makes a good base to explore many of the pretty hilltop villages in surrounding area. 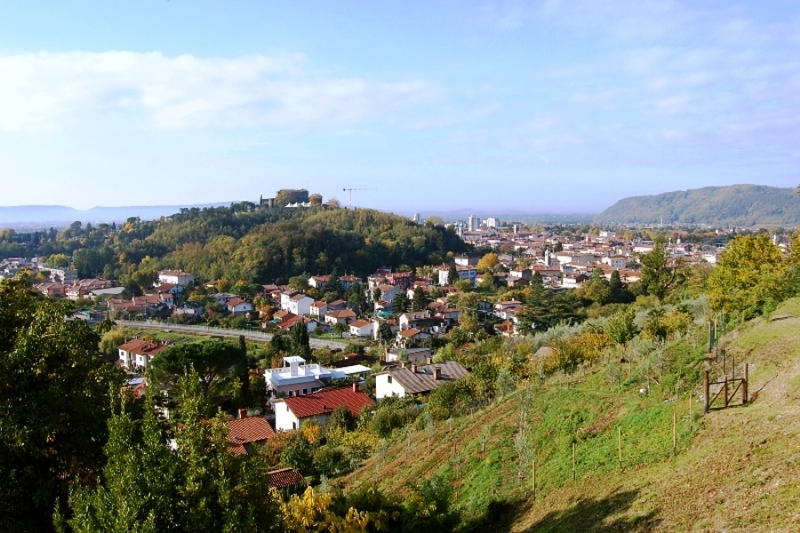 For Nova Gorica Weather click here. 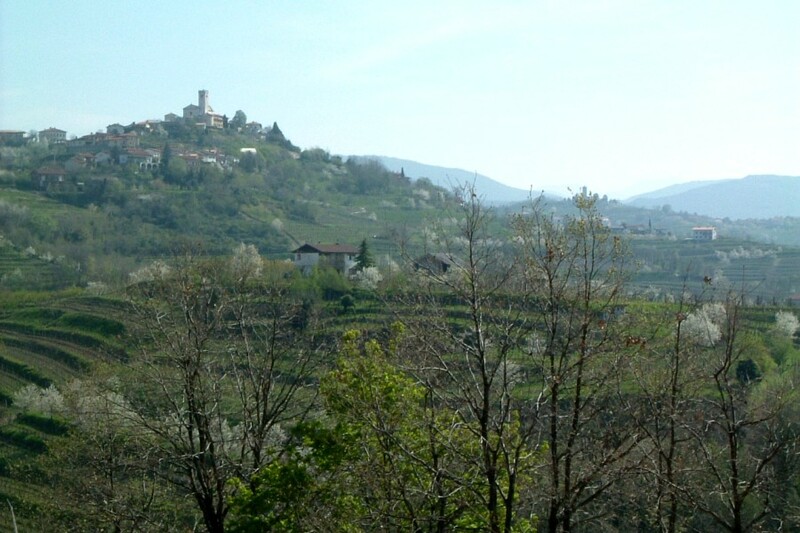 Known as the Collio Goriziano in Italian, The Goriška Brda region is an extraordinarly beautiful area North West of Nova Gorica. 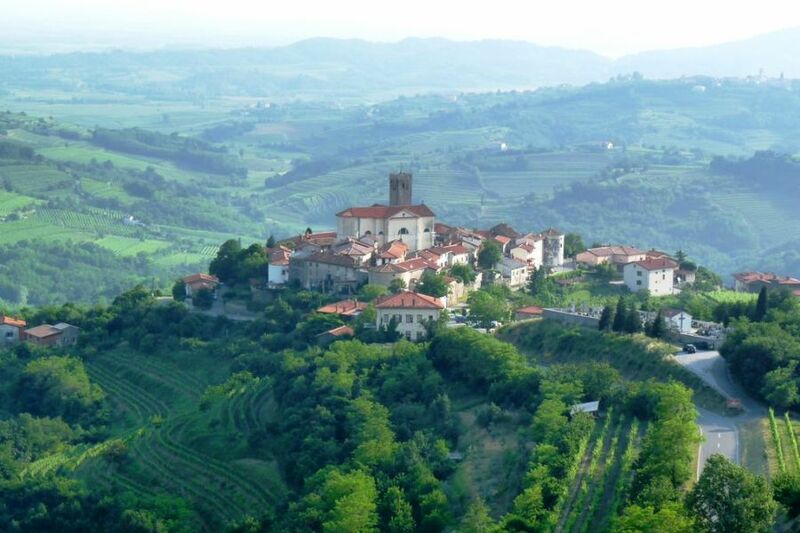 Protected by hills to the east and north and raised above the Italian Friuli region which it borders to the West, the Goriška Brda feels somewhat separated from the rest of the world and that is indeed one of its principal charms! 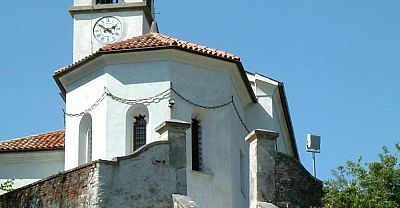 It occupies an area of 72km2 of "griči" or small hills mostly topped by pretty white churches and charming ancient stone villages and covered on the sides by some of Slovenia's most celebrated vineyards owned by some of its most forward looking wine makers.The area also produces an abundance of fruit and is celebrated during the annual cherry festival in June. 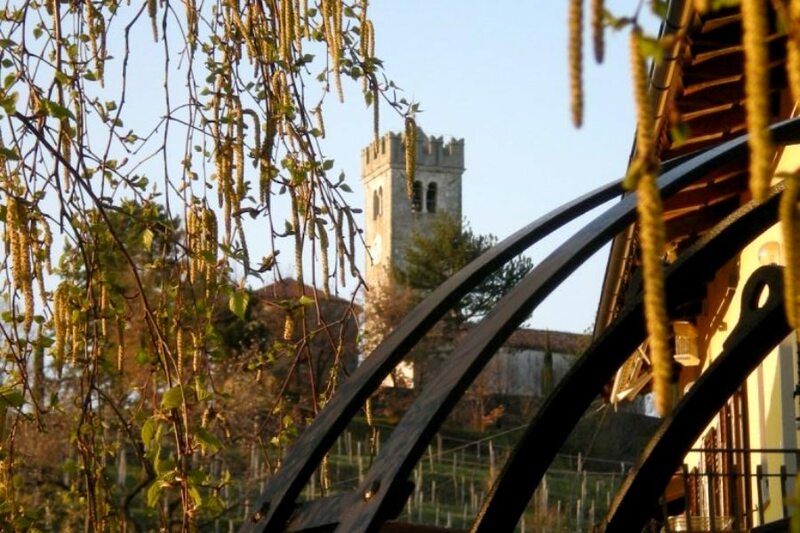 Food and wine is unsurprisingly one of the main attractions of the region and it is difficult not to be seduced by the outstanding Italian influenced cuisine or find yourself chinking glasses with one of the extremely welcoming locals! 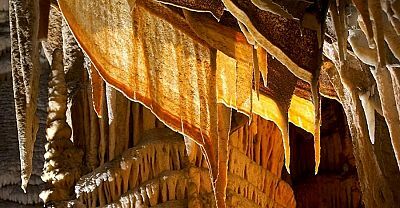 The word karst is used the world over to describe lanscapes where the rock (often limestone) is being slowly dissolved by water, giving rise to a range of interesting features above ground (such as sinkholes) below ground (such as caves). 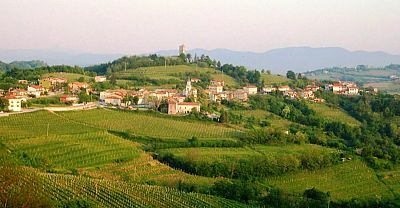 The term has come from the karst region of Slovenia / north eastern Italy which in Slovenian is called "kras" and takes the form of a plateau which rises from the Gulf of Trieste and stretches inland to the Vipava Valley, the Brkini Hills and the north of the Istrian peninsula. 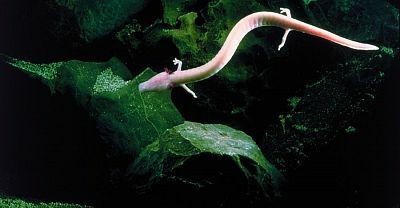 The Slovenian karst is perhaps best known for its caves (of which there are around 8000 recorded!) 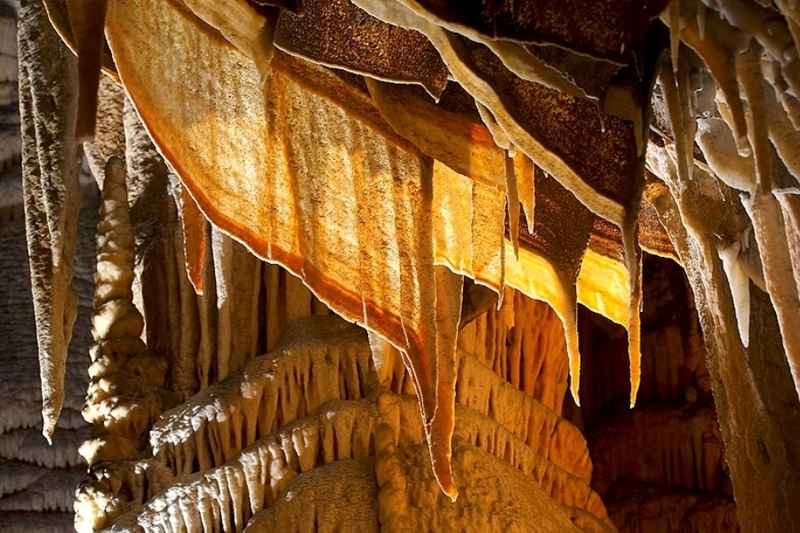 namely the fabulous cave systems at Postojna and Škocjan (the latter being a Unesco World Heritage site) and for its rugged landscape above ground. 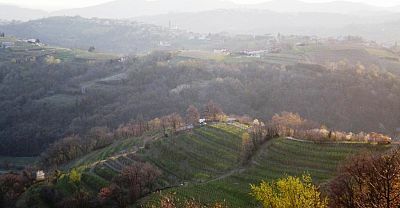 This landscape combined with the Bura wind which blows north wards from the Adriatic has helped to make the area excellent for the production of air dried hams or prosciutto which combine perfectly with the region's famous Teran wine made from Refošk grapes grown on distinctive Karst "terra rossa" soil. A strong , slightly sour but nonetheless highly respected wine with claimed health giving properties due to its high iron content. 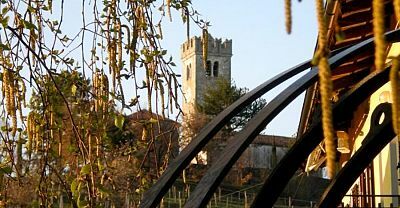 The Karst was originally mostly forested with oak trees but large quantities were used for construction as long ago as the middle ages and indeed it is claimed that the oak piles on which much of Venice stands are Karst oaks. Nowadays, most of the forest is pine based and large areas are unforested allowing the rugged stone formations which are characteristic of the Karst to be seen more clearly. With a population of only around 20,000 people in an area of more than 400km2 there are few major population centres in the Karst. 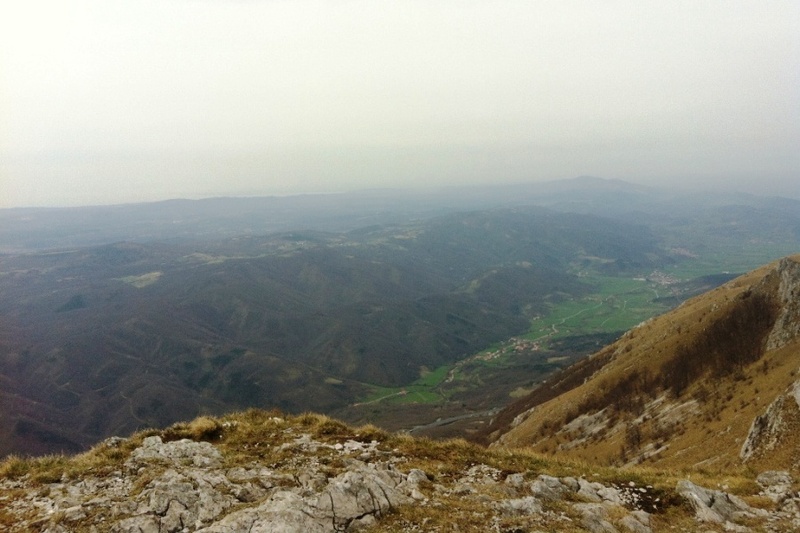 The principal towns are Sežana and Postojna, but most visitors will spend more time exploring the beautiful countryside which is dotted with characteristic ancient stone villages where life continues as it has for centuries. 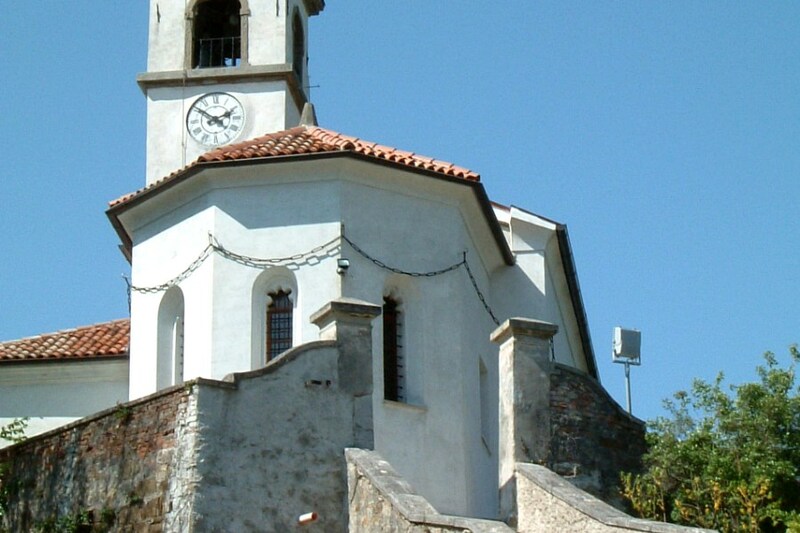 Arguably the most characteristic and certainly one of the most visited Karst villages is Štanjel, dating back to Roman times, but destroyed and rebuilt several times, the village gives a sense of stepping back in time as you wander the old stone streets. 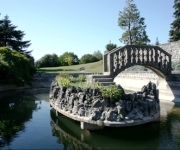 A highlight is the Ferrari gardens designed by Max Fabiani, giving lovely views over the surrounding countryside. 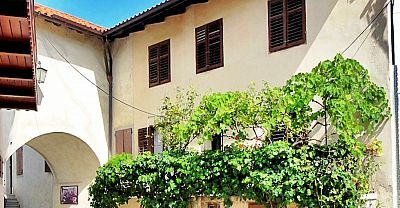 Taking a wine and food tour of the delightful Goriška Brda wine region north West of Nova Gorica - home of some of Slovenia's best wines and most beautiful vineyard scenery. 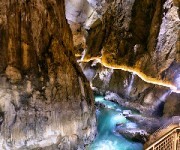 The spectacular Škocjan Caves Park, with one of the world's biggest underground gorges - A Unesco World Heritage site. in addition to the caves themselves is a regional park with a beautiful trail running around the collapsed valley and views of the cave mouth. 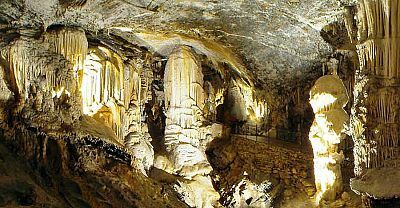 The Postojna Cave - a 20km long system, the most visited in Europe and which feature astounding underground structures and the magnificent Predjama Castle at the mouth of the caves. 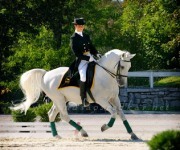 The Lipica Stud: home of the famous Lippizaner horse breed. 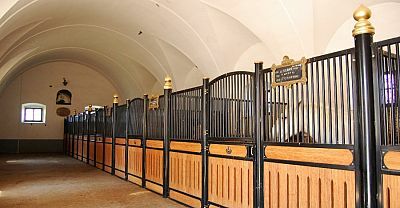 The stud was established in 1580 by Charles II of Austria and since then has been breeding the finest horses for haut ecole riding, many of which were used at the Spanish Riding Schoool in Vienna. 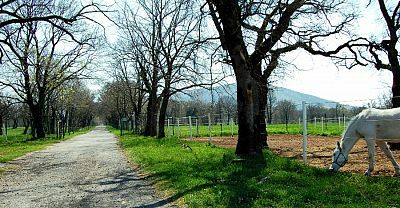 Nowadays at Lipica there is a riding school and a visitor / recreation centre and golf course. 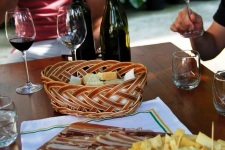 Sampling two of the Karst region's most famous exports : Teran wine, an ancient variety recorded as far back a s Roman times and delicious Karst air dried ham or prosciutto. 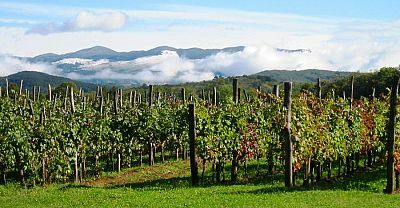 The beautiful Vipava Valley - one of the country's most famous wine growing valleys with rugged subalpine mountains providing a backdrop to beautiful wine country and ancient villages. 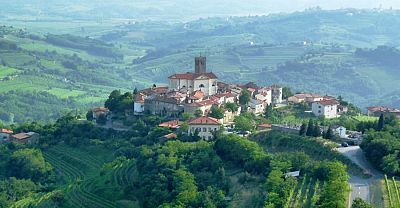 The beautiful Zemono Castle in the heart of the Vipava Valley deserves a special mention for its fantastic restaurant. 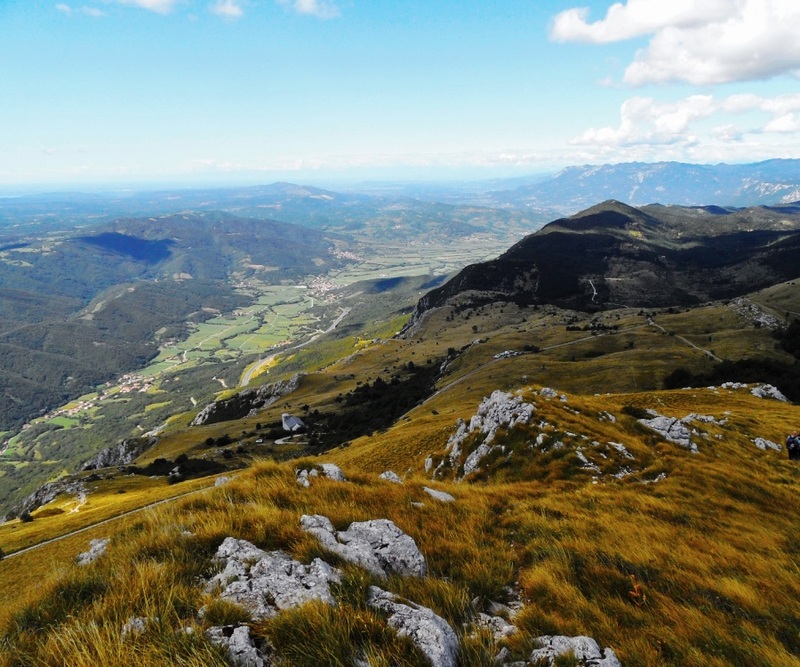 Climbing Nanos Mountain - a distinctive plateau with a peak of 1313m and the dividing line between the Slovenian littoral and continental regions. 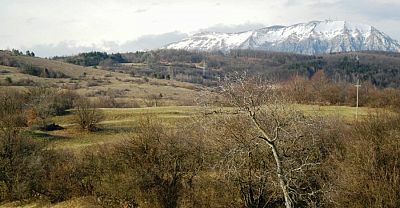 The wild subalpine Kolovrat hills north of the Goriška Brda. 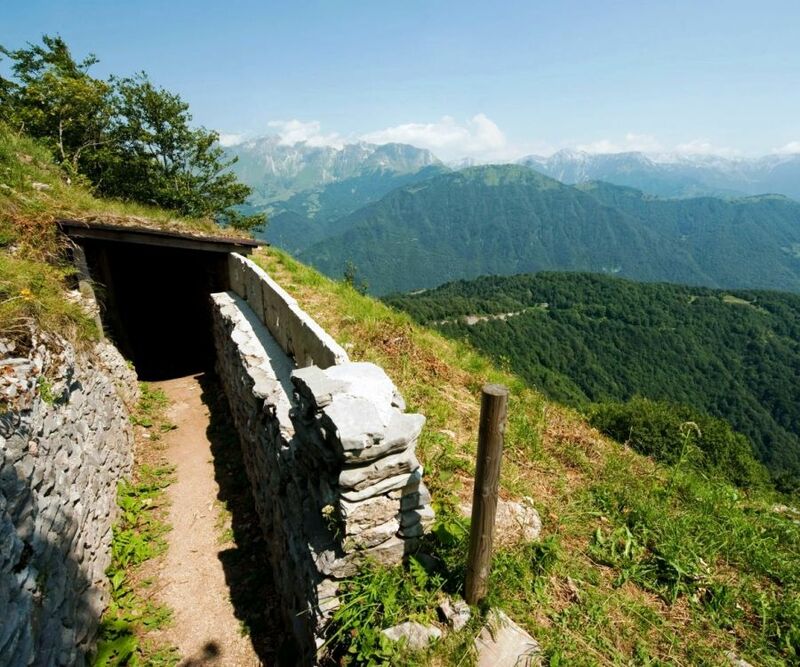 Excellent walking country - but dont be surprised if you don't meet many other tourists! The pretty town of Kanal in the lower part of the Soča Valley. 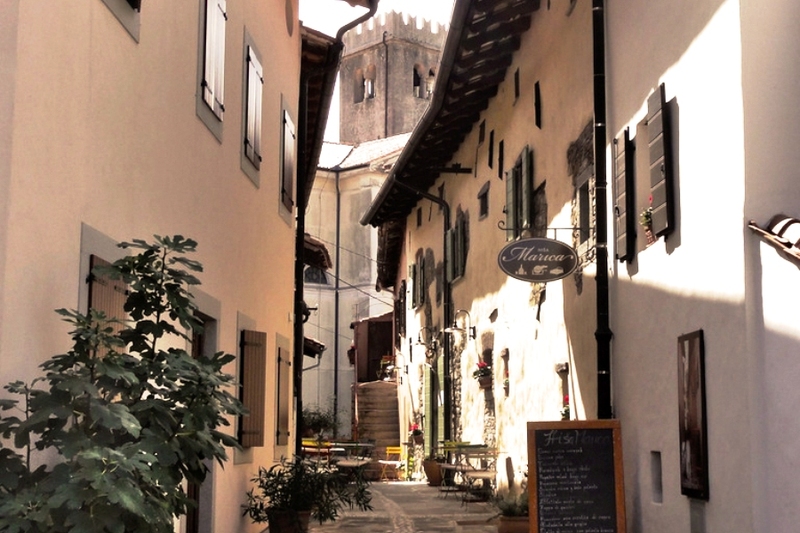 There are no notable sights as such, just an attractive Italian influenced town centre - a great stop off on the way north to the Alps from the Karst & Goriška region. HIKING: There is some lovely walking in the region, mostly relatively undemanding village to village walks often punctuated with excellent places to eat and drink! 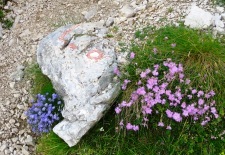 CLICK here for more information on Hiking in Slovenia. 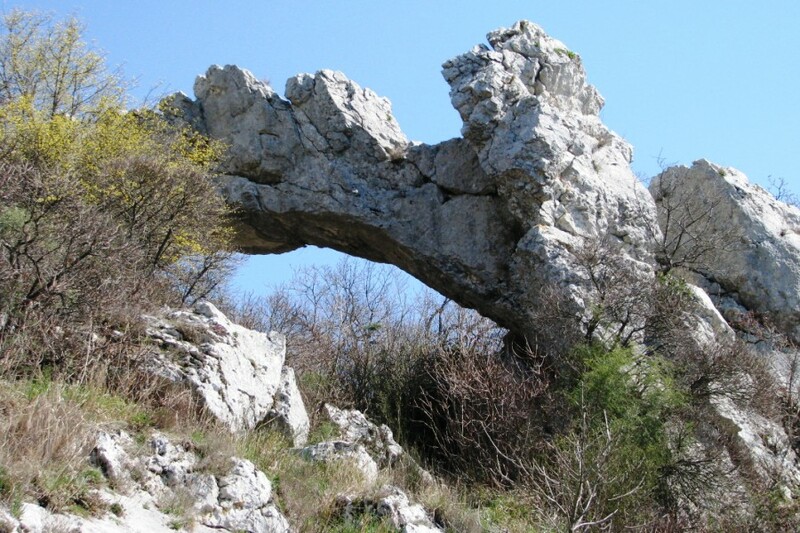 MOUNTAIN BIKING: The Karst in particular offers excellent scope for biking, with relatively gentle hills and lots of easy to find back roads and tracks. 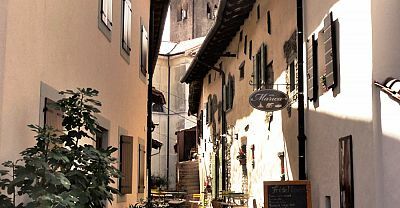 It lacks the adrenalin biking to be found in the alps further north but is ideally suited to gentler tours combined with sightseeing. 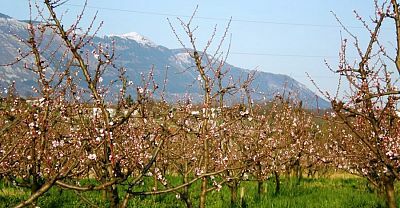 CLICK here for more information on Mountain Biking in Slovenia. 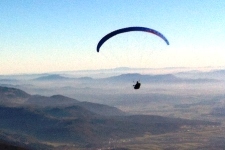 PARAGLIDING: The region further north towards the Julian Alps and Tolmin are better known for paragliding, however there is a paragliding point near Nova Gorica at Lijak. 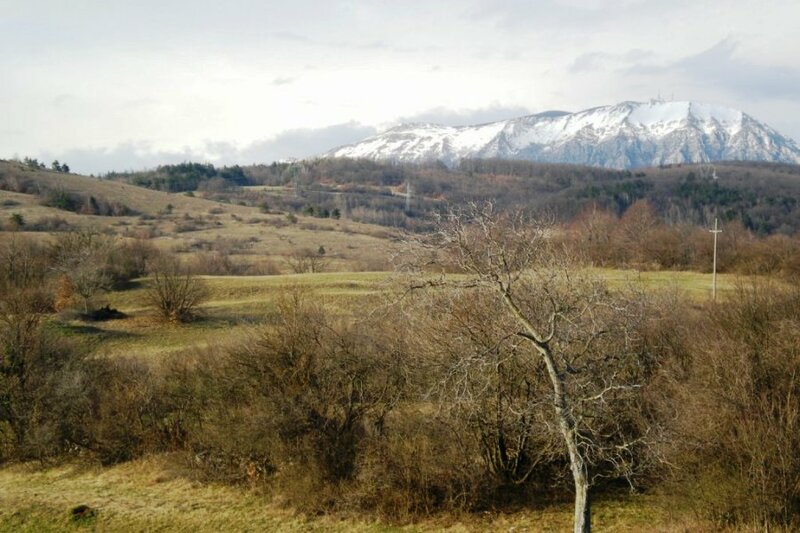 HORSE RIDING: There are a multitude of riding centres in the Karst region with the most famous of them being the Lipica Stud which offers not only a tourist eye view of one of the world's most famous horse studs but a range of beginner to advanced level riding courses and dressage tuition. 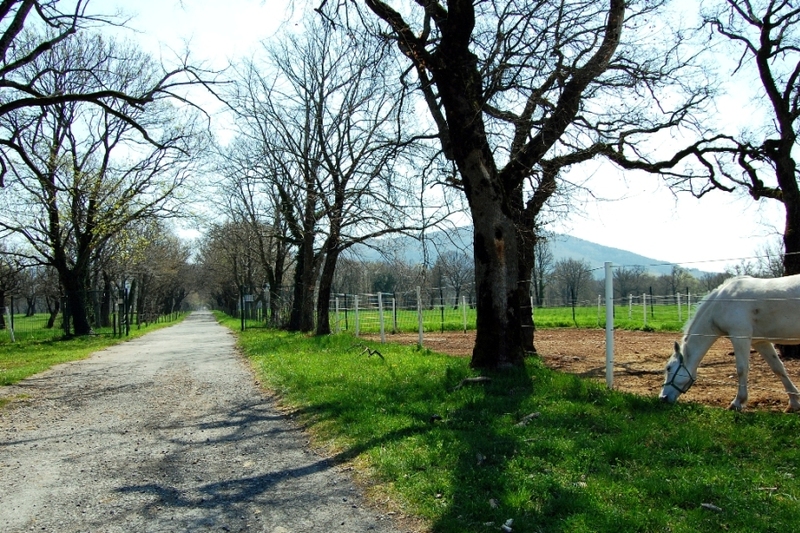 Other riding centres in the Karst region include Domačija pre Petrovih in the village of Novelo, Dujčeva Domačija in Škoflje, Grad Prestranek in the beautiful Prestranek Manor house, Sezana Riding Club in Filipčje Brdo and closer to Nova Gorica, the Manrijan Riding Club at Ajševica and Vrtnica Riding Club at Ozeljan. 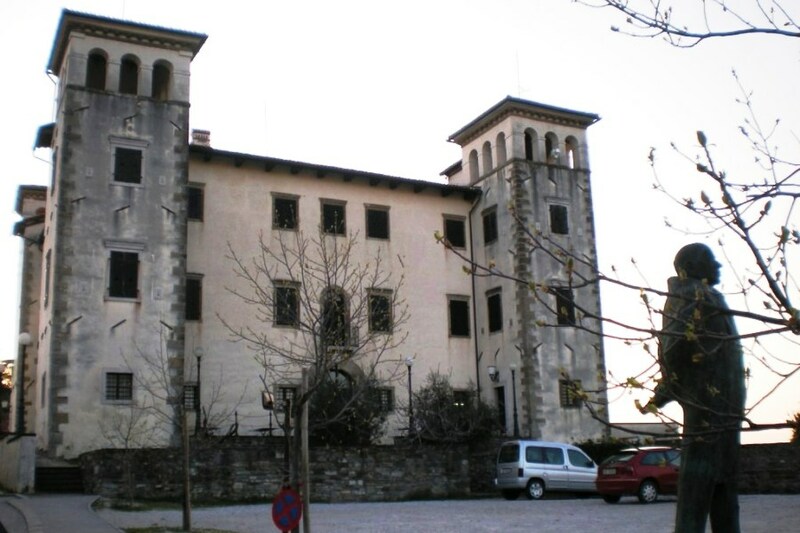 GOLF: Lipica; home to not only those famous horses, but also home to Golf Club Lipica. Designed by Donald Haradine, one of the worlds most famous golf course designers. 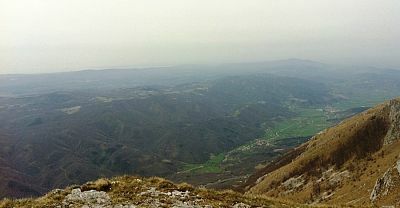 Lipica is the only course in Slovenia to offer year round golfing. CLICK here for more information on Golfing in Slovenia. ADRENALIN PARKS: Close to the Italian / Slovenian border, just north of Novo Goriza along the banks of the Soča River you will find the Soča Fun Park. 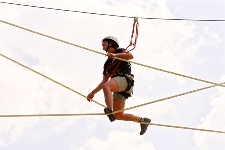 Choose the level of difficulty as you journey through the trees, above the ground on rope courses that vary in height from 1 - 8 metres. 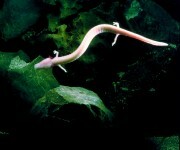 CLICK here for more information on Adrenaline Parks in Slovenia. 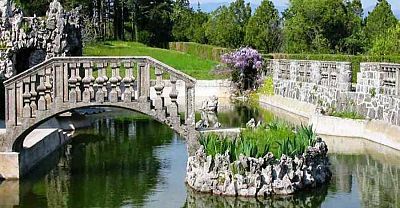 ARCHITECTURE & HISTORICAL SITES: The principal site in the Goriška Brda region is the beautiful 17th castle in Dobrovo - with restaurant, gallery and small museum. 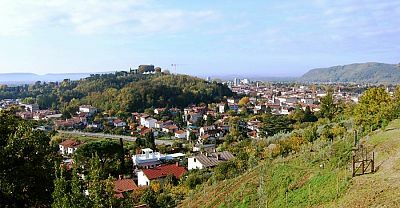 The Brda also offers numerous charming stone hill topped vilages most of which are capped with pretty white churches characteristic of the region. 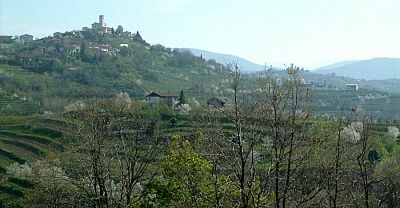 Amongst the pick of the villages are Šmartno and Medana. 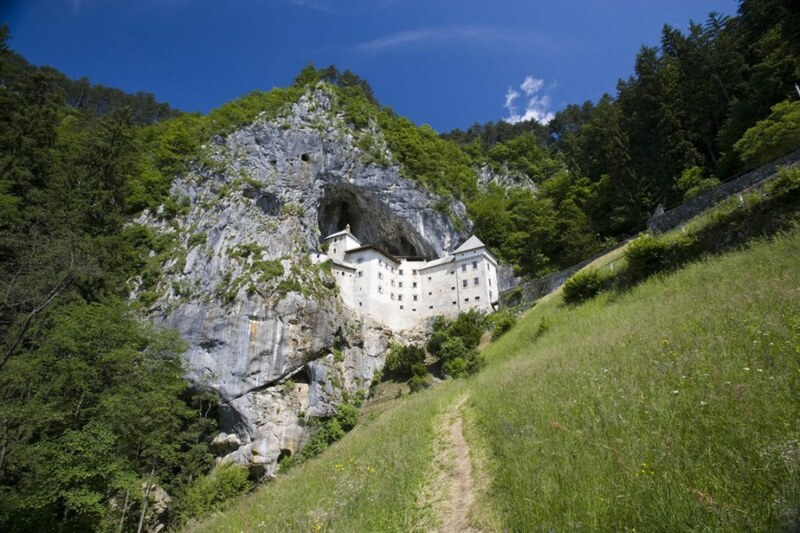 The Karst region is also rich in historical sites with the beautiful historic village of Štanjel and the dramatic Predjama Castle principle among them, but also Zemono manor house and any number of charming old stone villages. Of interest also is the Solkan Railway bridge just north of Nova Gorica which is said to be the largest stone arch river bridge in the world. 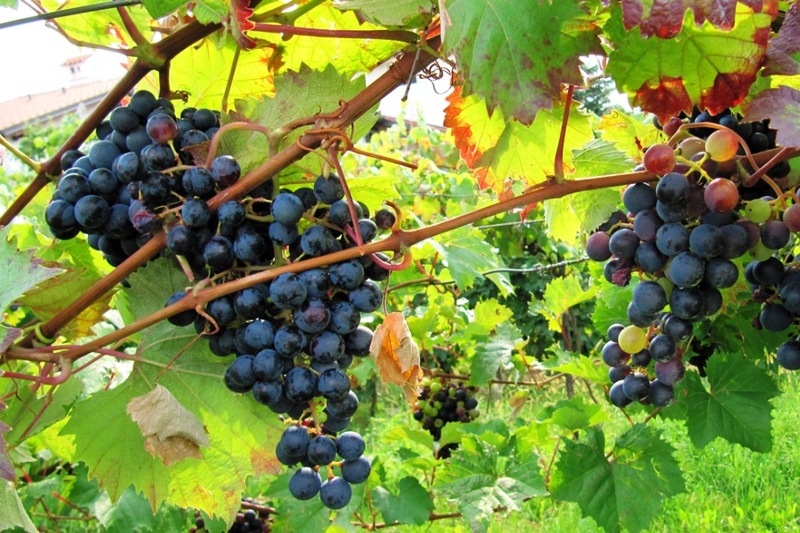 FESTIVALS: A major festival across Slovenia but especially in wine growing areas such as the Karst and Goriška Brda is Martinovanje (St Martin's day) in early November which according to a tradition dating back to the middle ages is the day when the season's crop turns from "most" to wine. 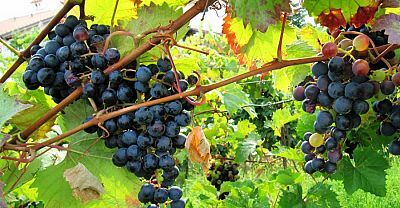 There are celebrations across the region mostly focusing on music, dancing, food and unsurprisingly, wine! 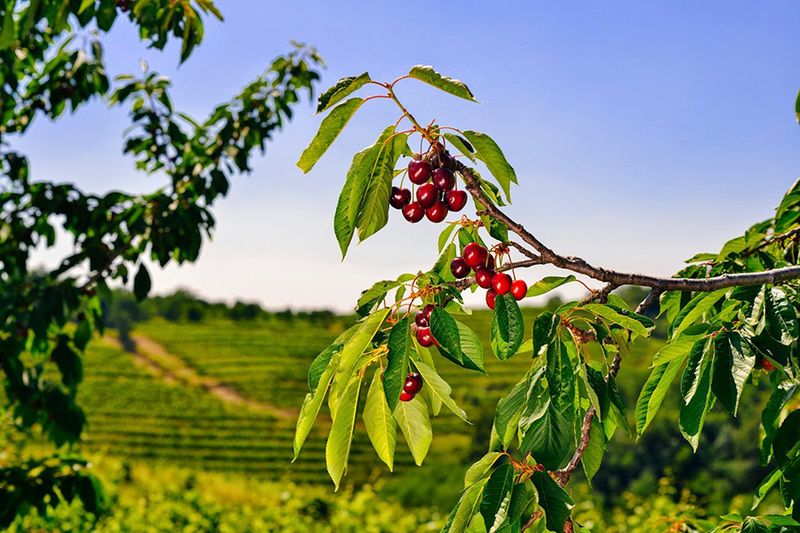 In the Goriška Brda the annual Cherry Festival in June attracts around 30,000 visitors and features a bicycle marathon from Ljubljana, organised hikes across the Brda and a variety of exhibitions, open wine cellars and good food and wine. Annualy in July Predjama Castle hosts a energetic though somewhat touristy medieval tournament. 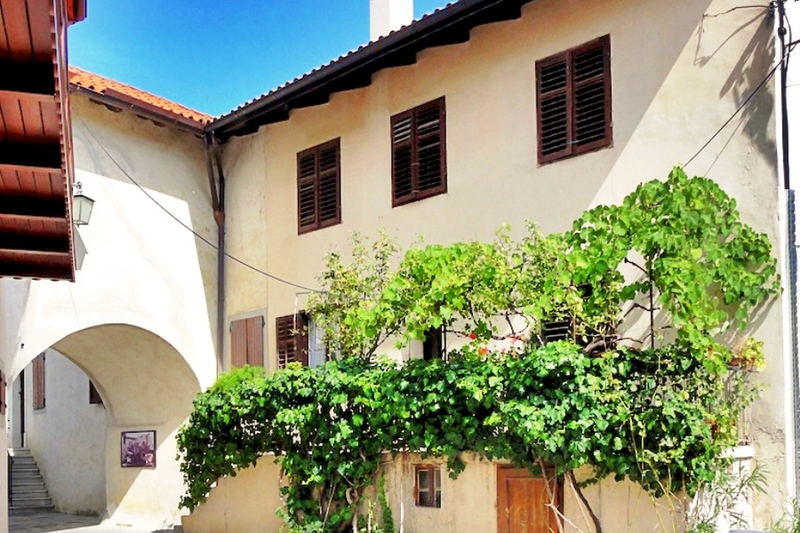 FOOD & DRINK: The Karst & Goriška Brda is undoubtedly one of Slovenia's culinary hotspots. 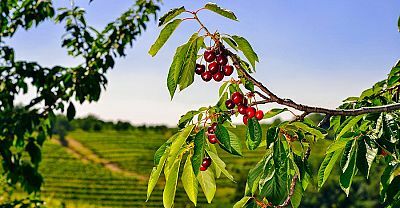 Not only is this one of Slovenia's best wine growing areas but the Karst is known for its fantastic prosciutto ham and the Goriška Brda as a producer of some of Slovenia's best fruits, in particular cherries (hence its annual cherry festival - details above). Llike most of the country it is easy to find good value and high quality restaurants serving local specialities and the region is also home to some of the country's best restaurants - amongst the highlights of which are Pri Lozjetu restaurant at the pretty Zemono manor house in the Vipava Valley and The Belica Estate in Medana, Goriška Brda. 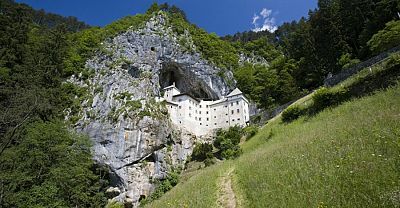 MUSEUMS & GALLERIES: Predjama Castle near Postojna offers tours of its restored rooms including residential quarters, chapel & dungeon. 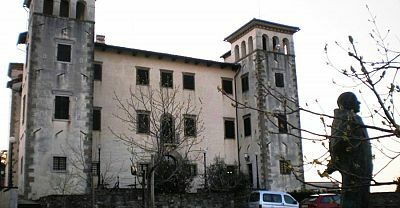 Dobrovo Castle in the Goriška Brda has a small museum and gallery. 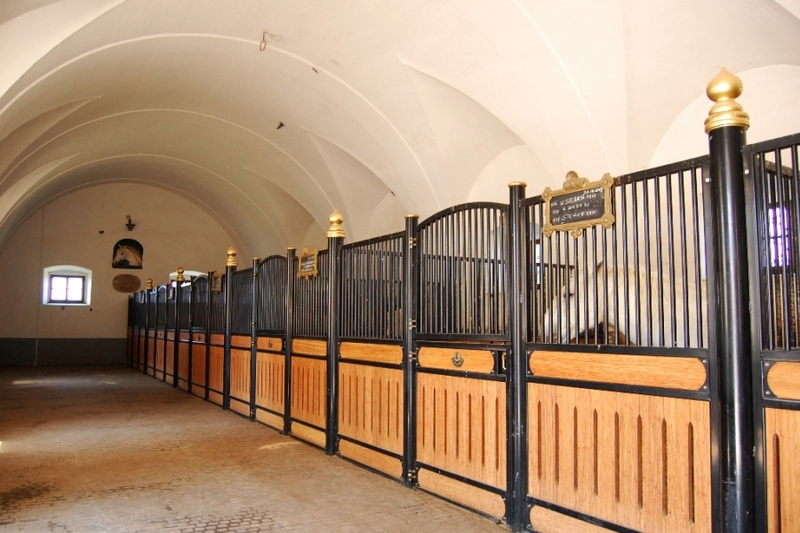 The Lipica horse stud has a small museum about its culture and history in the breeding of perhaps the world's finest Lippizaner horses. 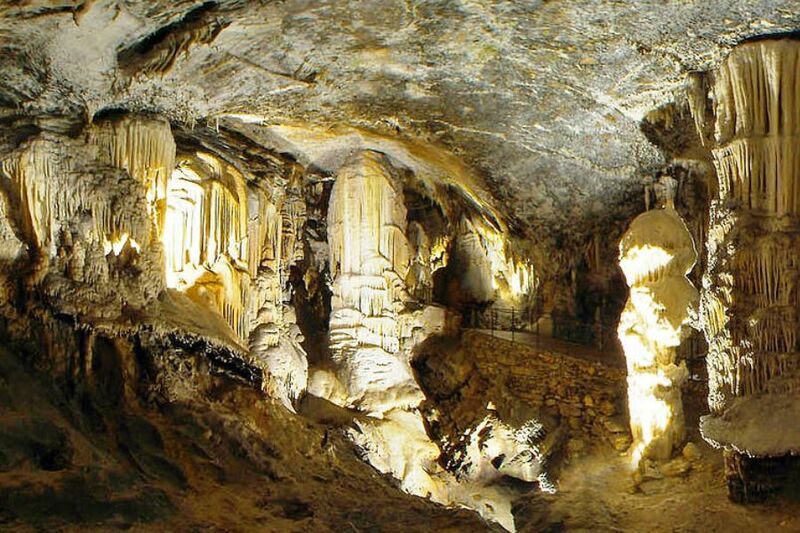 NATURAL ATTRACTIONS: The Karst & Goriška Brda region is extremely rich in natural attractions, the principal amongst which are Postojna Cave and Škocjan Caves and Gorge and also very many other beautiful caves such as Križna Jama, Črna Jama and Pivka Caves. 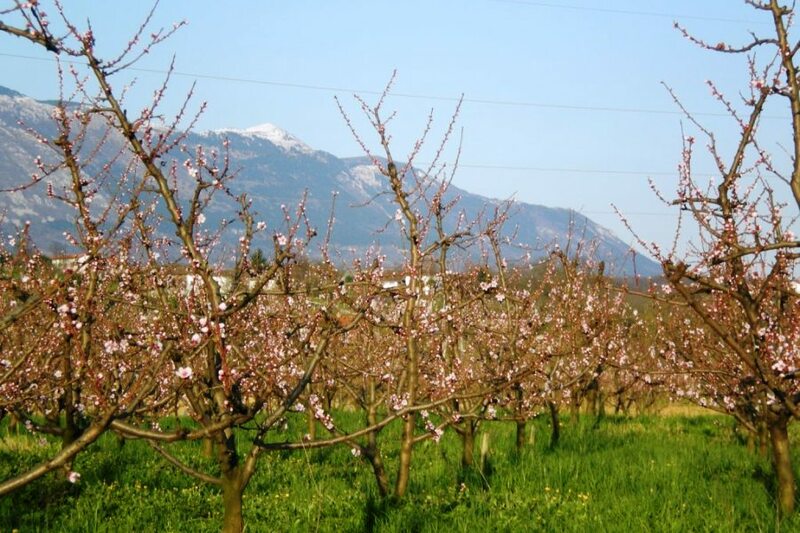 The Vipava Valley is a dramatic geographical formation where rugged mountain walls culminating in the iconic Nanos mountain divide the Mediterranean wine growing world on the valley floor from the alpine world in the hillls and onwards towards the Julian Alps. 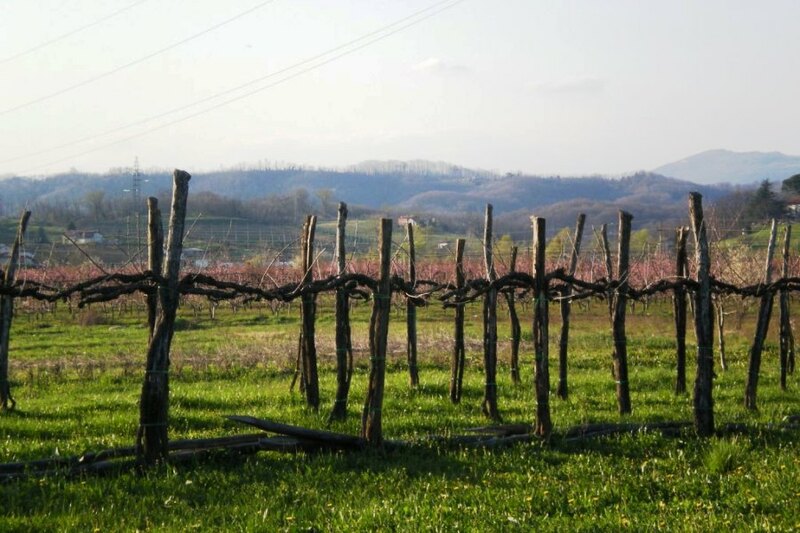 The whole Goriška Brda region with its rolling vineyard and orchard covered hillsides is a jewel amongst Slovenia's natural treasures. 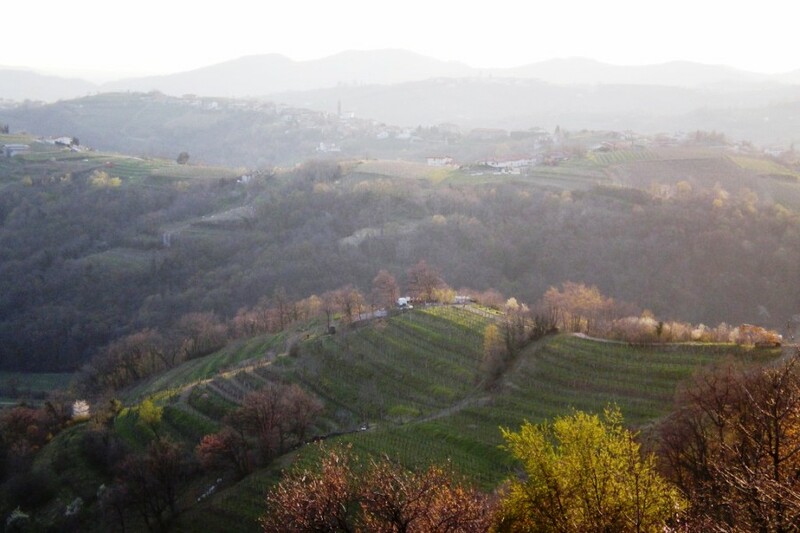 North of the Brda the vineyards give way to the wild and sparsely populated Kolovrat hills. 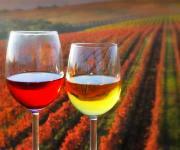 WINE TASTING: Unsurprisingly in a region covered in vines, wine tasting is not a difficult activity to track down. 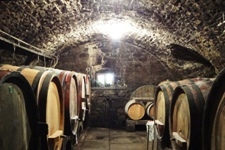 Throughout the region you will find signs for wine cellars ("vinski klet") by small local producers and emerging boutique winemakers whose wines are gaining increasing prominence and critical acclaim on the international wine scene. 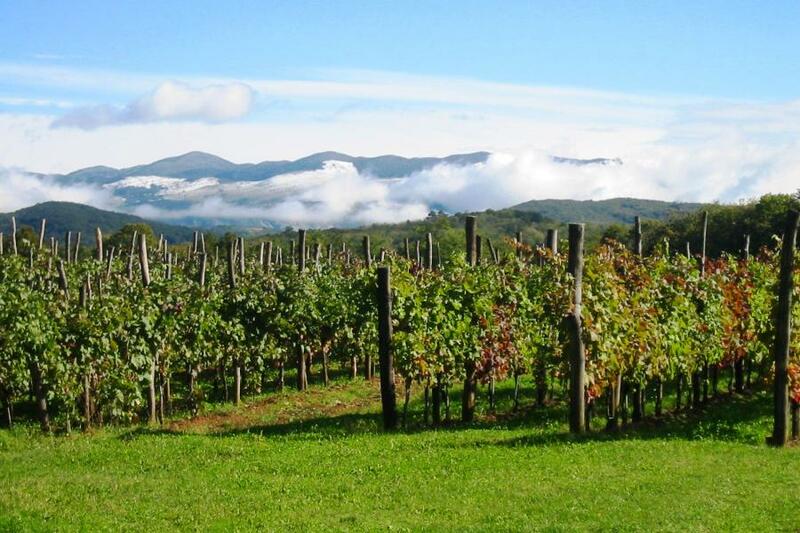 This is especially true of the Goriška Brda & Vipava Valley regions which are both developing rapidly. 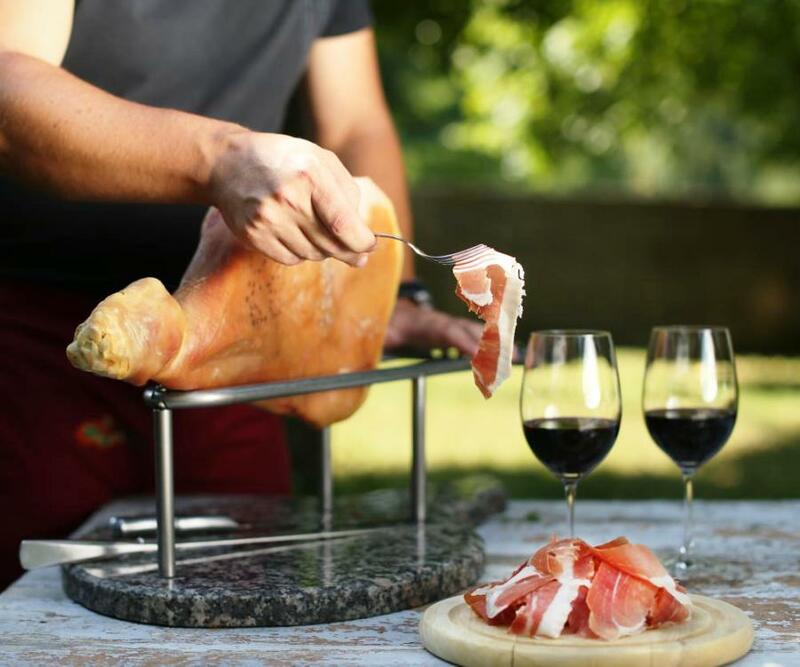 No visit to the region is complete without enjoying a glass of the characteristic Teran wine of the Karst region with local prosciutto ham.